What’s the first thing you do when you’re going to a new city? If you’re anything like me, it will be to scour the internet for the best bars and cocktails. Sometimes, I’ll get lucky and hit upon a few gems, but more often than not, every available link is TripAdvisor, and the highest rated bar is a party Irish bar that’s just fabulous for hen and stag dos. Not really my thing. That’s where ‘Where Bartenders Drink’ comes in. 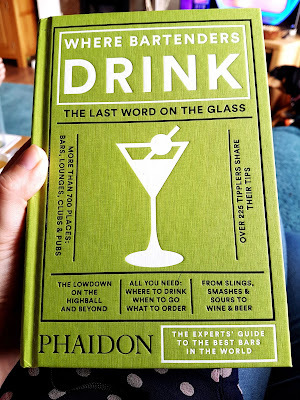 It’s a reference book of bars from around the world, selected by around 225 of the world’s top bartenders. It’s been compiled by Adrienne Stillman, the co-founder and editor-in-chief at Dipsology, an online community for cocktail enthusiasts in NYC. When she’s not busy with that, she works in wine, spirits and hospitality marketing, as well as being a certified sommelier. 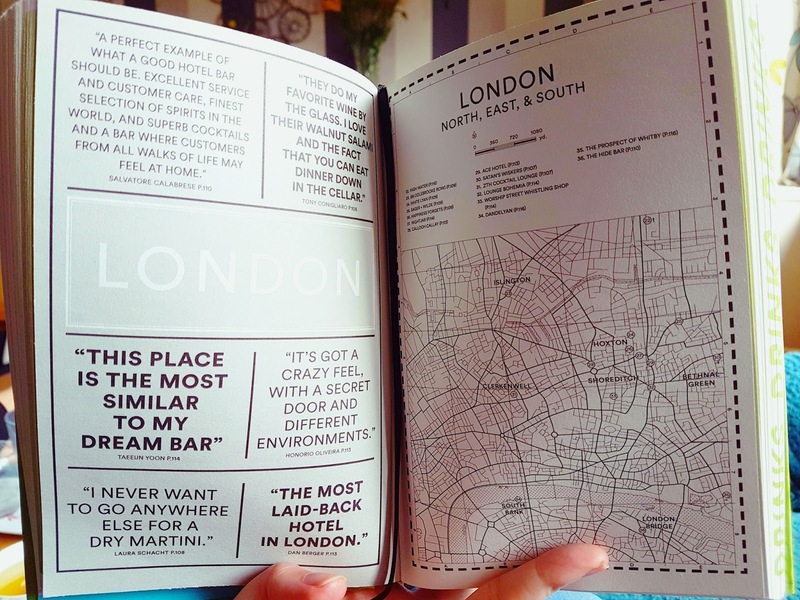 The book features 700 bars, covering everything from the fanciest cocktail bars, to the dingiest, charming dive bars, and hidden neighbourhood pubs. I am one of those people that goes to a new city armed with a list of bars I want to go to, rather than a list of sights I want to see. I’m afraid this book has made my boozy wanderlust just a little bit worse. Not only has it opened my eyes to a lot more places with great bar scenes, but the numbers of great bars in those places, too. The bar reviews are insightful – these people really know their drinks, naturally – there are specially commissioned maps to help you find your way around, and introductory essays to different regions around the world. I live in London, and the suggestions are a list of my favourite bars across the city – including Nightjar, Happiness Forgets, Callooh Callay, Blind Pig, and 69 Colebrooke Row – and the rest are on my must-visit list, with the likes of Dandelyan (I know, how have I not been yet? ), The American Bar at The Savoy, and Artesian. So I’ve got plenty to tick off at home before I start dreaming of more cocktails further afield. So if you’ve got a friend who’s constantly telling you where and what to drink, you know what to get them for their next present. I can guarantee they’ll find somewhere new., and you can feel nice and smug about it. Get your hands on 'Where Bartenders Drink' from Amazon for £14.85, from Phaidon directly for £16.95, or from Oliver Bonas for only £8.50 at the moment!